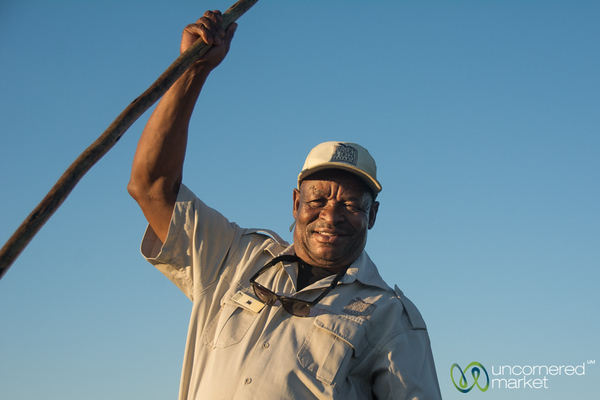 Travel photography from Camp Okavango, a Desert & Delta Safaris property in the Okavango Delta of Botswana. Experiences range from ride in a mokoro (dugout canoe) to a walking safari to relaxing at the camp itself. 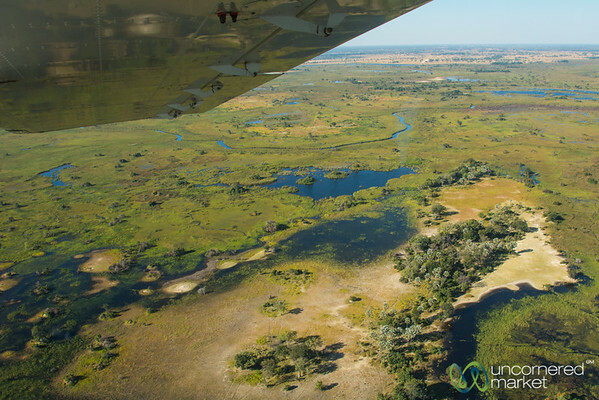 Read more: Botswana: First Impressions and Disconnecting in the Okavango Delta. 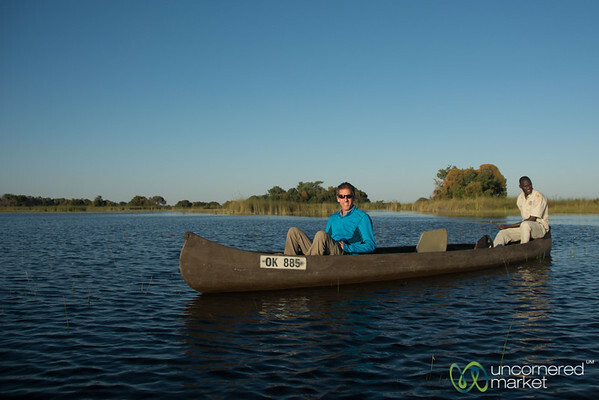 Dan takes a ride on the Okavango Delta in a mokoro (dugout canoe). Camp Okavango, Botswana. 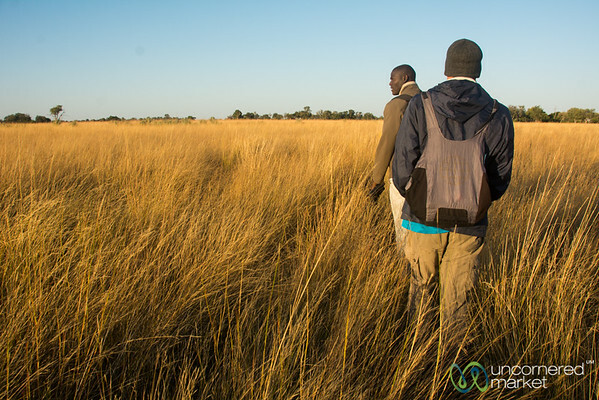 We take off on foot with Kops and John Carter for a walking safari on an island near Camp Okavango, Botswana. 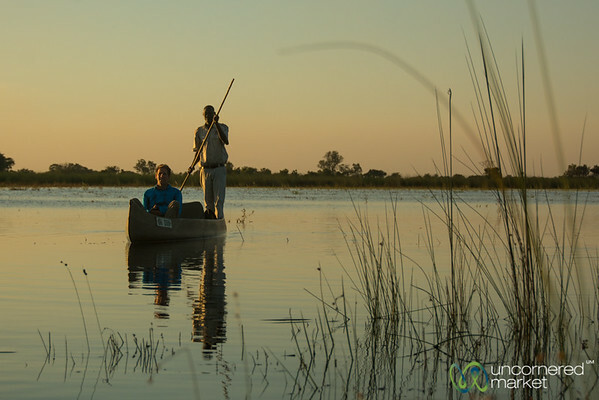 Dan enjoys a Mokoro (dugout canoe) ride on the Okavango Delta, Botswana. 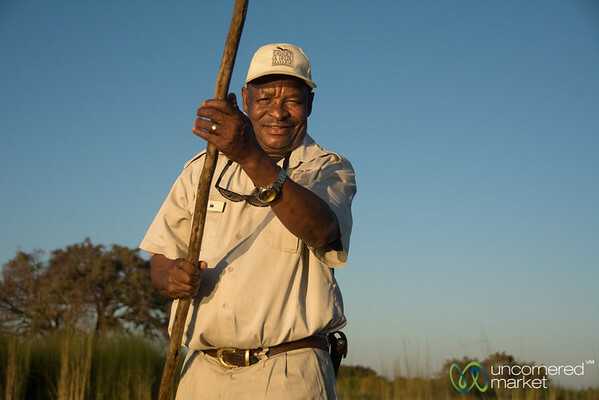 John Carter of the Okavango Delta, legendary guide at Camp Okavango, Botswana. 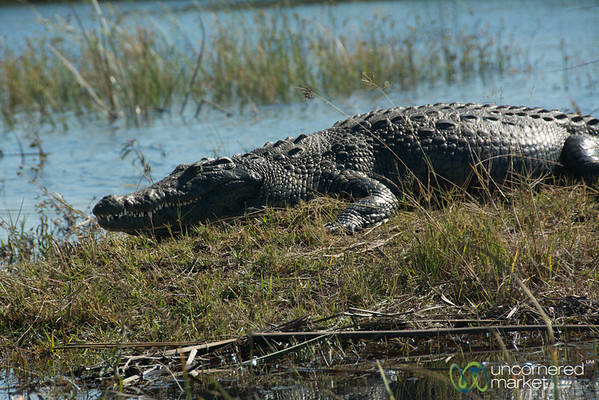 A well-fed crocodile suns himself in the early morning light at Camp Okavango along the Okavango Delta in Botswana. 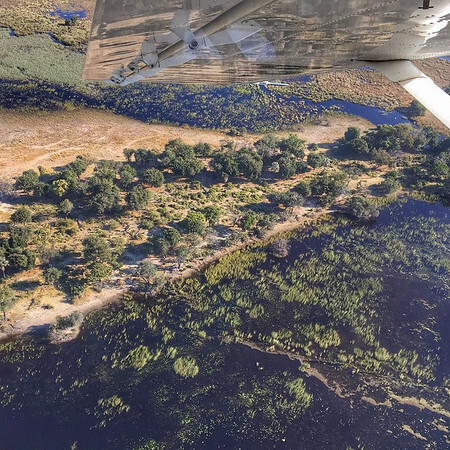 Flying over the Okavango Delta, Camp Xakanaxa to Camp Okavango - Botswana. 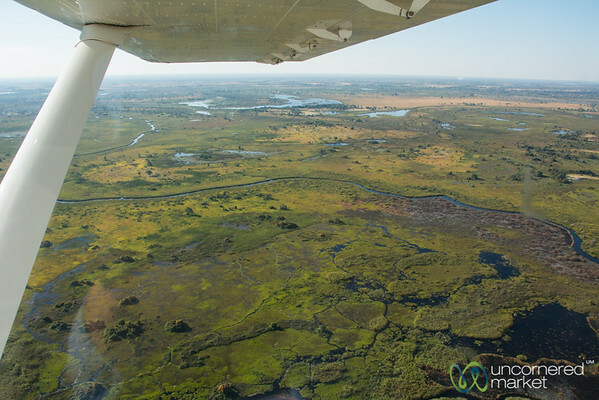 View from the air of Okavango Delta - Botswana. 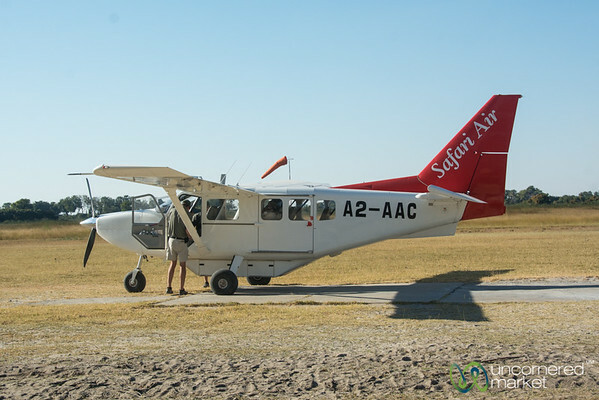 Our charriot in the air takes us from camp to camp in Botswana's Okavango Delta. 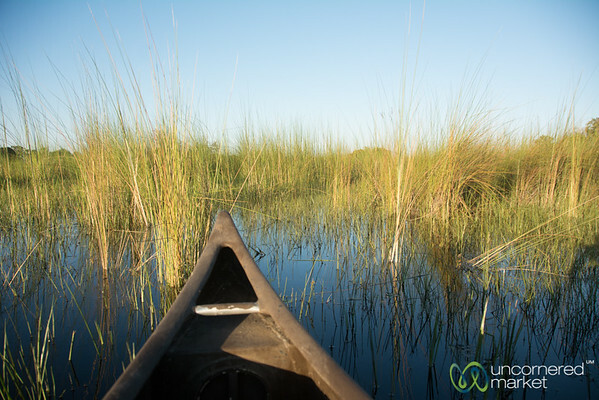 Experiencing the Okavango Delta up close in a mokoro (dugout canoe). Camp Okavango, Botswana. 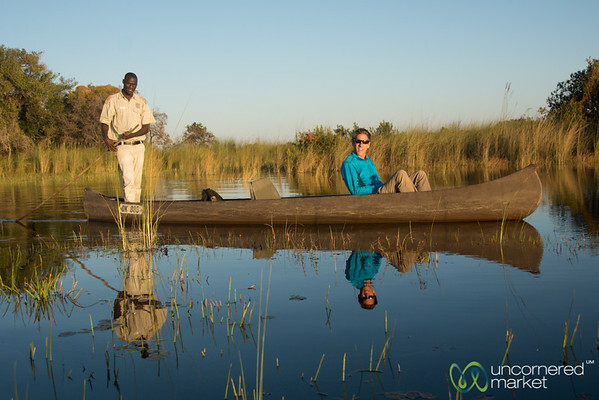 Mokoro ride (dugout canoe) in the Okavango Delta. An activity at Camp Okavango, Botswana. Mokoro (dugout canoe) ride with guide John Carter on the Okavango Delta. 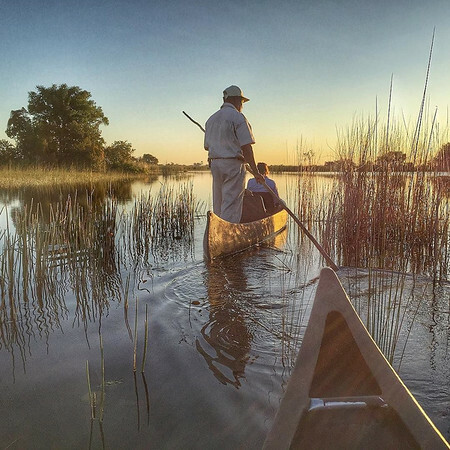 An activity with Camp Okavango, Botswana. 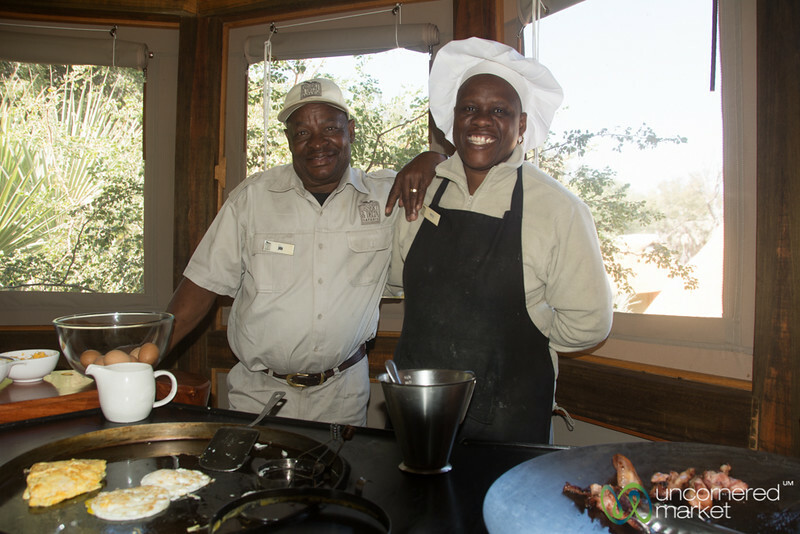 Husband and wife working together at Camp Okavango, Botswana.